It is an exotic and easy chicken recipe the whole family will love! 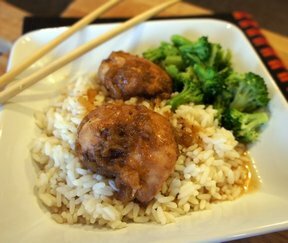 Serve over white rice. Variation: Add pineapple when chicken is almost done. In a bowl, combine sweet and sour sauce, brown sugar, orange juice, white wine, and melted butter or margarine; mix well. 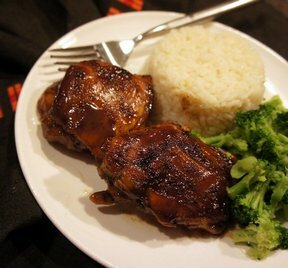 Place chicken in a greased 9x13 inch baking dish, and pour sweet and sour sauce mixture over chicken. Bake for 45 minutes in the preheated oven, until the sauce has reduced to a thick glaze.